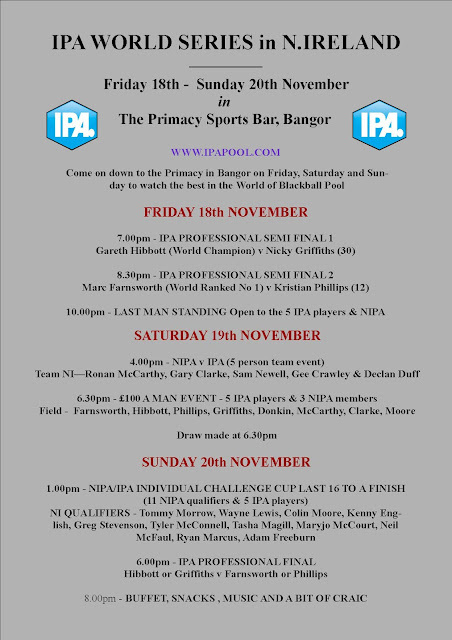 Come along to the Primacy in Bangor this weekend to watch the best in the business. 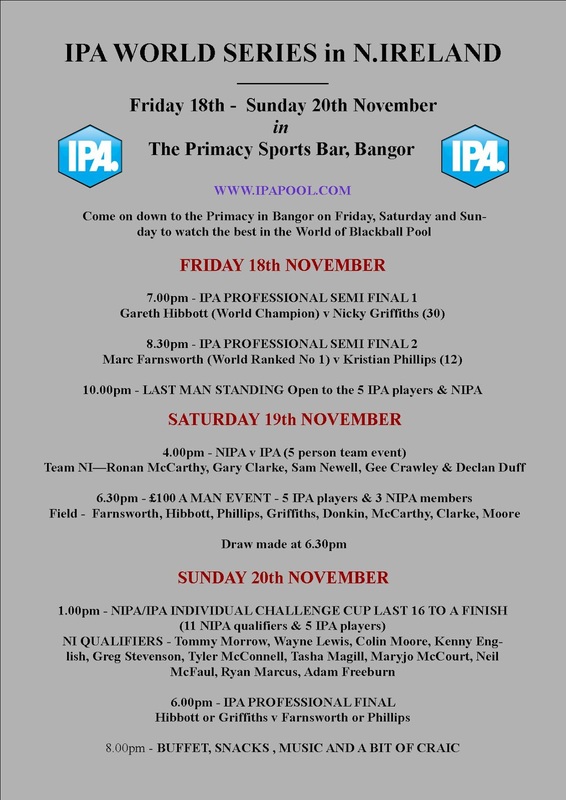 Schedule below. 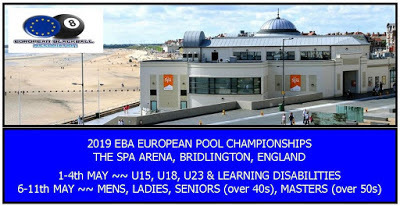 Further legs of the IPA World Blackball Series are being held in Gibraltar, South Africa, Malta, Southern Ireland and Norway. 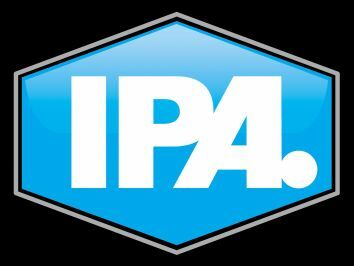 The IPA have taken Blackball Pool to a new level and have recently just announced a groundbreaking sponsorship deal with Corals Bookmakers. We are delighted to welcome Kevin Barton and the team over to NI and we hope they enjoy their trip.